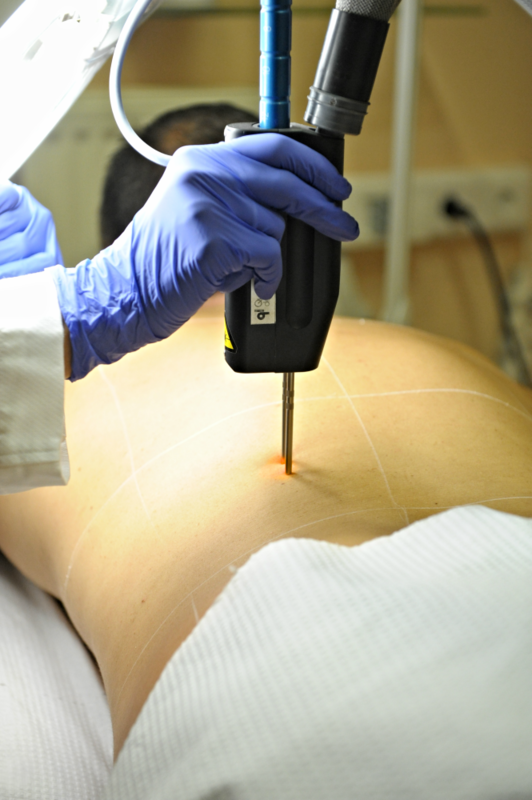 Laser removal of unwanted hairs is a very efficient and safe procedure. 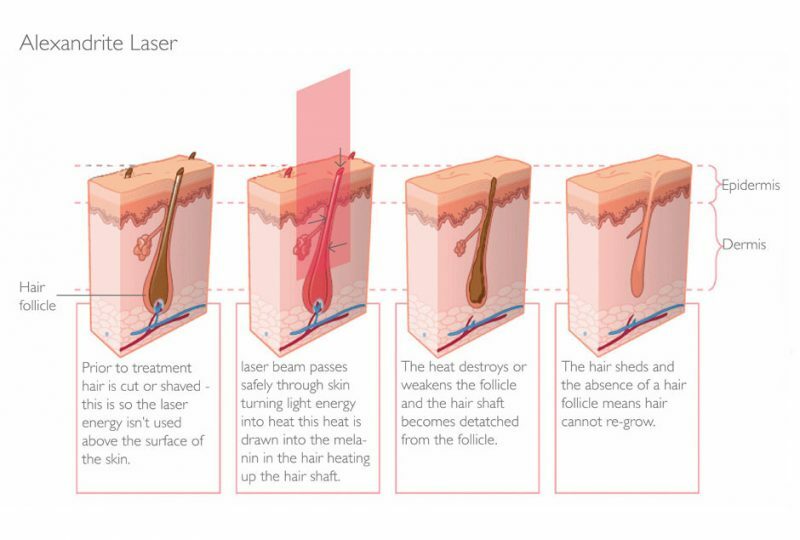 LASER devices that are intended for hair removal (Laser epilation) emit light of high energy and specific wavelength, that is selectively absorbed by the pigment melanin in hair shafts. Hairs are destroyed by selective photothermolysis, with no injury to the surrounding skin. This highly specific mechanism of action renders lasers the best choice for permanent reduction of unwanted hairs and for treatment of hirsutism. Our office is equipped with an advanced ALEXANDRITE LASER SYSTEM, with variable pulse width, that can ensure safe and efficient hair removal for all skin types, on any site of the body, in men and women alike. Detailed information on the laser procedure, pretreatment and post -treatment instructions and are provided. Treatment expectations are discussed. Treatment is performed in several sessions, usually 1,5 -2 months apart. The percentage of hairs removed per session varies in different body locations. Approximately 10-25% reduction in hair growth can be expected with each treatment. The hair that re-grows is lighter and finer in texture. In general three or more treatments are required at each site to achieve permanent hair growth reduction. Dark, thick hair responds better to laser than thin and light hair. Almost no effect is observed on white hair. Treatment is usually well tolerated. Numbing cream is applied only in special locations, such as the bikini area, in order to diminish any discomfort. In the hands of a specialized dermatologist, laser hair removal treatments are safe and very efficient. Although a series of sessions are needed for a permanent result, one can appreciate the difference even after the first treatment. Treatment costs vary depending on the location of the unwanted hairs and the total surface to be treated in each session. Payment is done per session and starts at 50 Euros for small treatment areas.